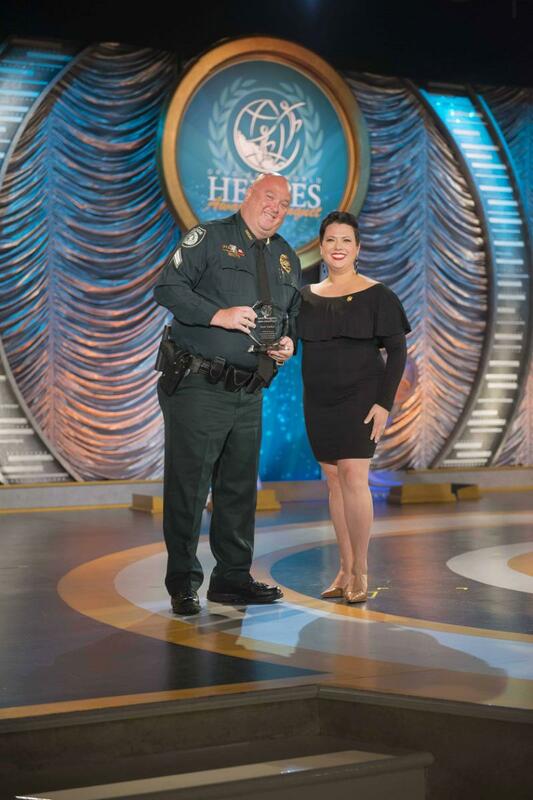 Corporal Scott Parker from the University of South Florida Police Department received the 2018 Drug-Free World Heroes Award for his dedication and work in drug education and prevention. CLEARWATER, FL, USA, April 11, 2019 /EINPresswire.com/ -- The Foundation for a Drug-Free World Florida will be holding its annual “Drug-Free World Heroes” Award Banquet at the historic Fort Harrison in downtown Clearwater on April 13th at 5:30 pm. Over 300 people from law enforcement, education and the community have already confirmed. The event is being held to honor those who have demonstrated extraordinary efforts in the area of drug education and drug abuse prevention, with awardees being law enforcement professionals, educators and community leaders. Just two of this year’s awardees have a combined 60 plus years of dedicated service to keeping others safe from harmful drug abuse. The celebration will begin with a complimentary, gourmet dinner, followed by distinguished guest speakers (including a former Harlem Globetrotter), the awards ceremony and concluding with dancing to a live band. To reserve your complimentary seats, please RSVP by contacting the Foundation for a Drug-Free World Florida Chapter at 727-467-6962 or email info.fl@drugfreeworld.org. The Foundation for a Drug-Free World is a non-profit organization that educates youth and the community on the truth about illicit drugs so they can make the right decision live drug-free. The Church of Scientology is a sponsor of the program making it possible for the foundation to provide educational materials at no cost to educators, law enforcement and the community. It was the founder of the Scientology religious philosophy who said, “One has the choice of being dead with drugs or being alive without them. Drugs rob life of the sensations and joys which are the only reasons for living anyhow."